When the newspaper The Breeze first debuted six years ago many said what a good idea it was for a newspaper to focus on just Bridgewater and Raritan. But unknown to most, The Breeze was not the first newspaper to do so. 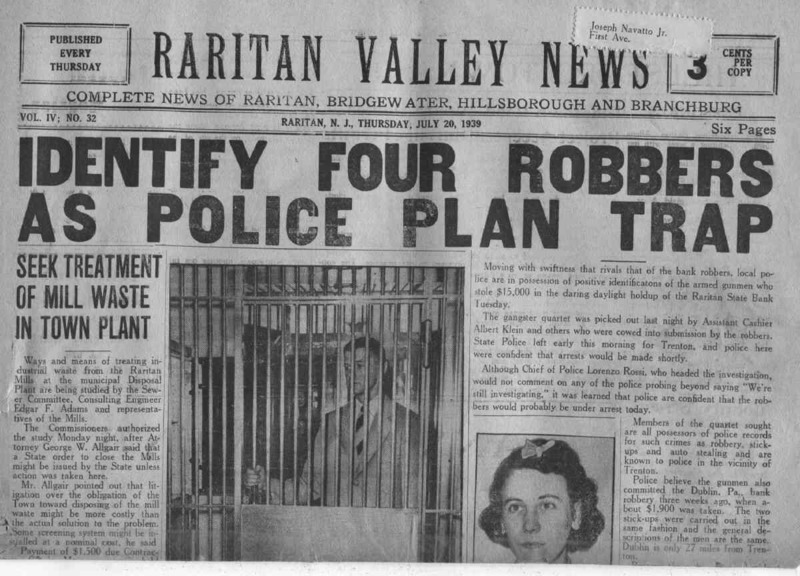 Over a half century before another now forgotten newspaper The Raritan Valley News had that distinction. 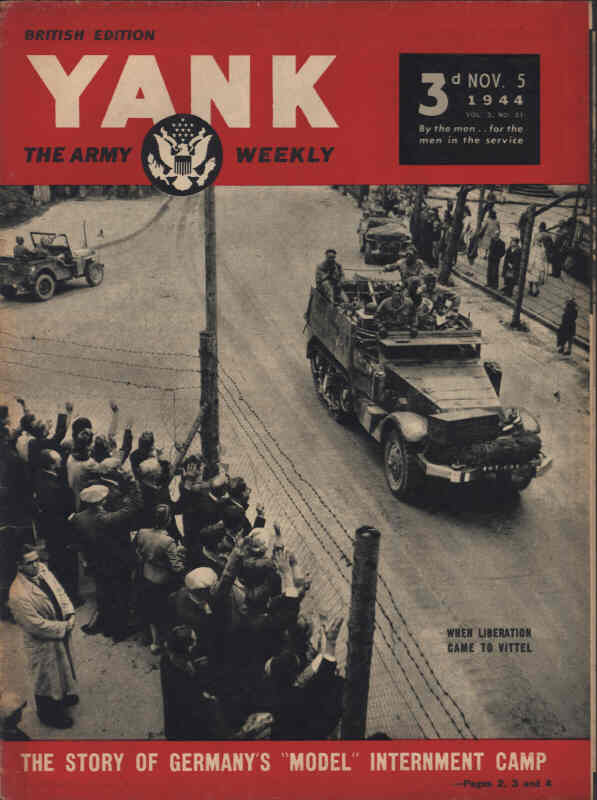 It was published weekly from (around) 1938 till 1951. 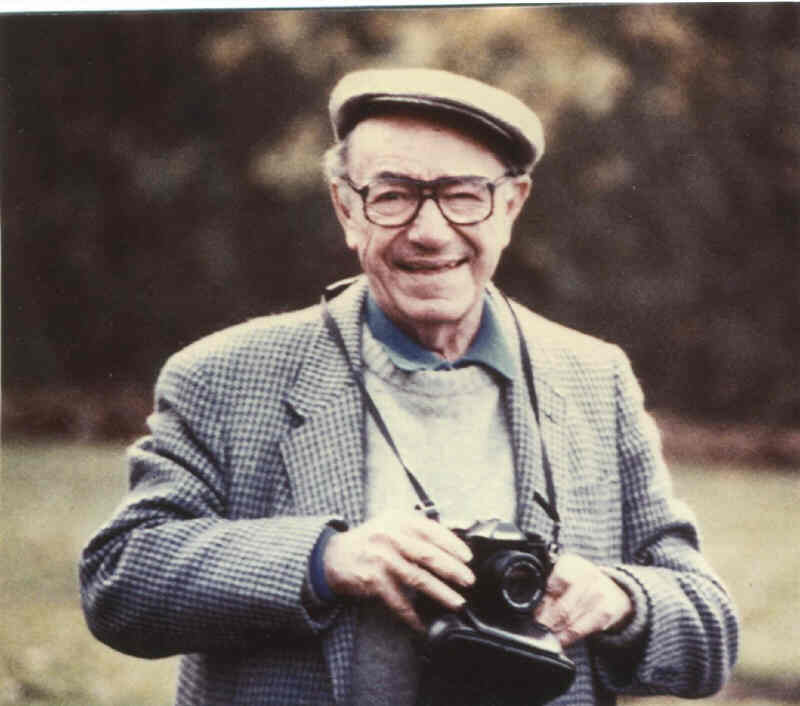 The editor of the paper, for most of its existence, was Raritan’s Warren Glaser – who was a passionate lifelong journalist. Warren Glaser was born in Raritan 1915. His family first lived at 59 Thompson Street then moved to 56 East Somerset Street. He learned about the challenges in life early for at the age of 12 his father died. This made him the man of the house who looked after his mother and three younger sisters. In 1928 Warren attended Somerville High School. Even though he was in school he needed to work to bring money home for his family. He found work at the newspapers The Somerset Messenger Gazette and The Plainfield-Courier News. Despite being a teenager he was assigned to cover one of the biggest news stories of the century – The Lindbergh Kidnapping. In fact, according to his daughter, one report had Warren listed as the youngest journalist among the hundreds that covered the story. At the newspapers he found his calling and would spend the rest of his life as a journalist. After graduating from high school in 1932 he attended Rutgers College where he studied journalism and met his future wife Muriel. The day after his college graduation in 1936 he began work for a popular tabloid newspaper The New York Mirror. Warren would stay full time with The New York Mirror but was very energetic and in May 1938, in addition to his regular job, he began running his own newspaper - The Raritan Valley News. (There is conflicting evidence as to whether he started the newspaper from scratch or if he bought a startup newspaper that was operating for a short time.) It was a weekly newspaper published on Thursdays. 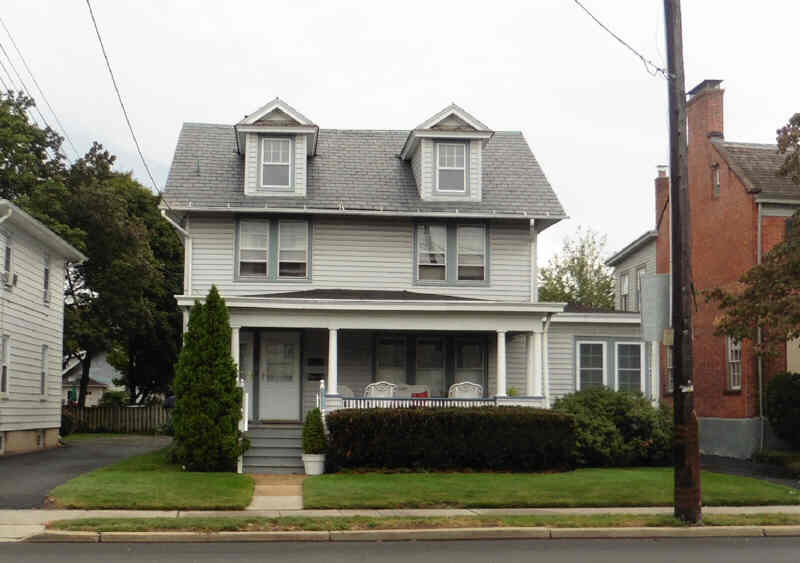 The business office was at 8 Wall Street in Raritan. Initially the newspaper was six pages, but overtime it grew to twenty pages. The Raritan Valley News was quite popular as it covered the local politics and happenings of the day. The paper had ads for the then thriving, but now defunct businesses such as The Raritan Liquor Store, The Raritan State Bank, and The Hannon Funeral Home. Catchy ads were featured for now long gone movie theatres such as The Raritan Playhouse, Somerville’s Cort Theatre, and Plainfield’s many theatres The Oxford, The Paramount, and The Strand. 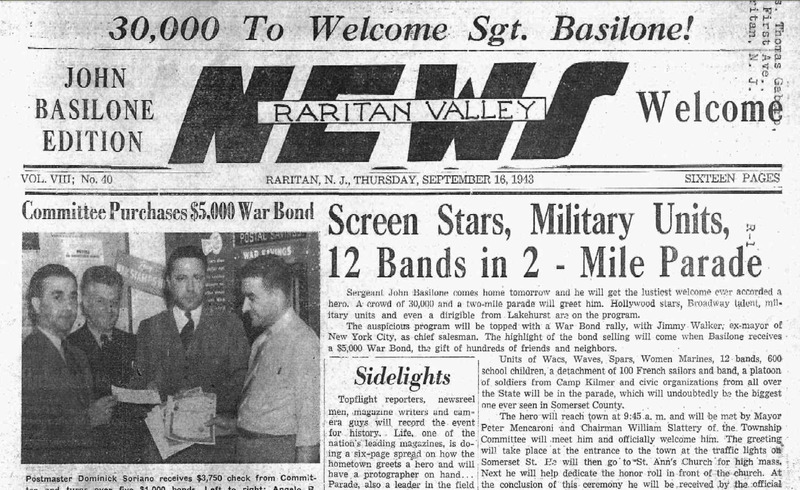 The newspaper did an excellent job of covering the major local events such as “The Bank Robbery of 1939”, Basilone’s Welcome Home Parade in 1943, and Raritan’s Independence from Bridgewater in 1948. 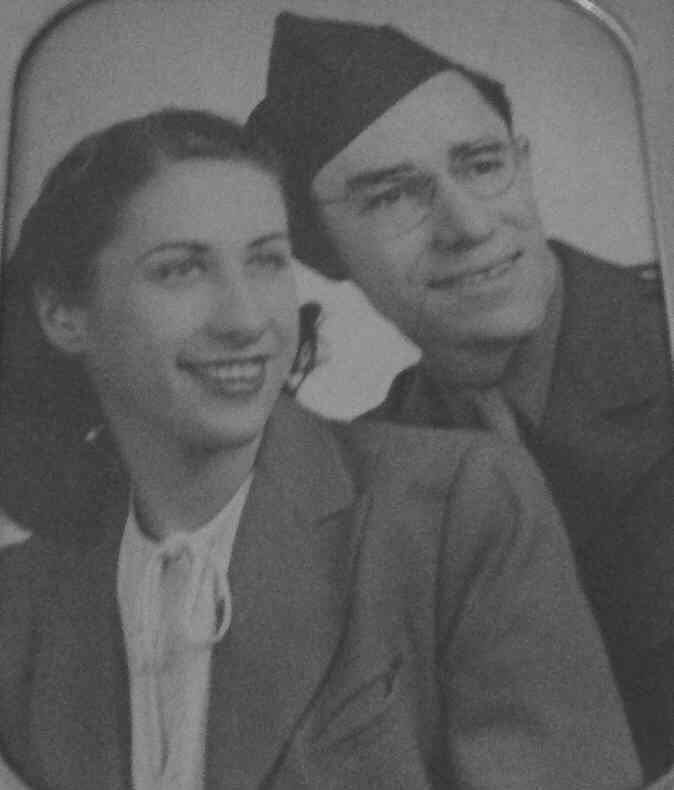 When World War II started The Raritan Valley News took on a new level of significance in Bridgewater and Raritan. The paper reported on the comings and goings of the local men and women who entered the service. It told of the military decorations for bravery that some of the local boys received. There were over forty Bronze Stars, five Silver Stars, and one Congressional Medal of Honor. 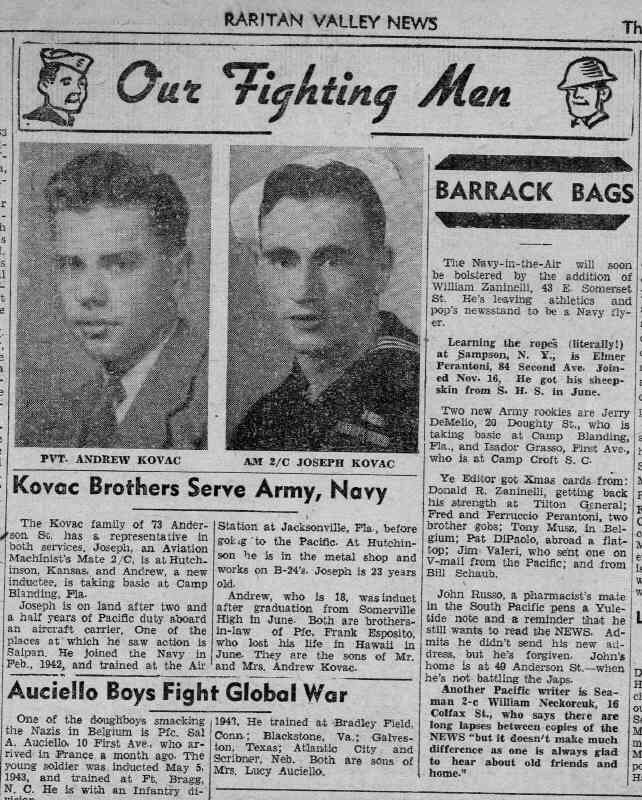 Some men on leave such as Michael DeCicco, who fought at Pearl Harbor, told the paper about their experiences. Others, from overseas, wrote to the paper to have their letter printed. When a Bridgewater or Raritan guy was killed in the war it was the lead story on the front page. 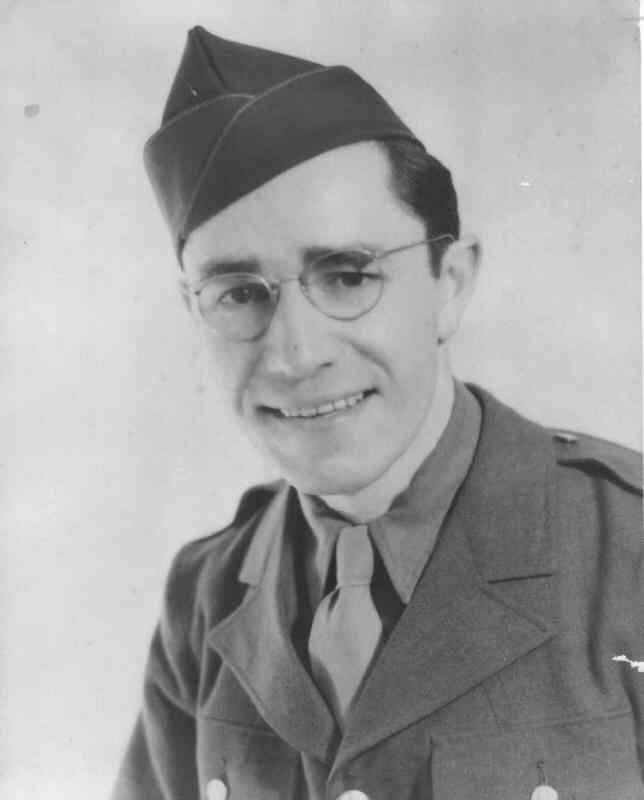 After 18 months of reporting on the fighting, Warren himself, in 1943, joined the fight as he entered the army. The newspaper was then run by his wife Muriel and business manager Ethel Diesbusky. The army assigned him to the same line of work as he had done at home - journalism. He worked for The Stars and Strips Newspaper and Yank Magazine. These were moral boasting publications produced by the military for the soldiers and sailors. Many editions, and literally millions of copies of these publications were produced for the various theatres of war. The fighting men read these intensively as they gave information on the progress of the war and the status of the home front. Ironically, while the publications provided lots information, what the soldiers liked best was the pin-up photos of the pretty girls. The GIs cherished these photos - often hanging them up in their barracks. The Stars and Stripes Newspaper and Yank Magazine were cherished in their day, yet they seem to get just a footnote in today’s history books. At the end of the war The Raritan Valley News printed a full page pull-out with photos of all the Raritan men killed in the war. 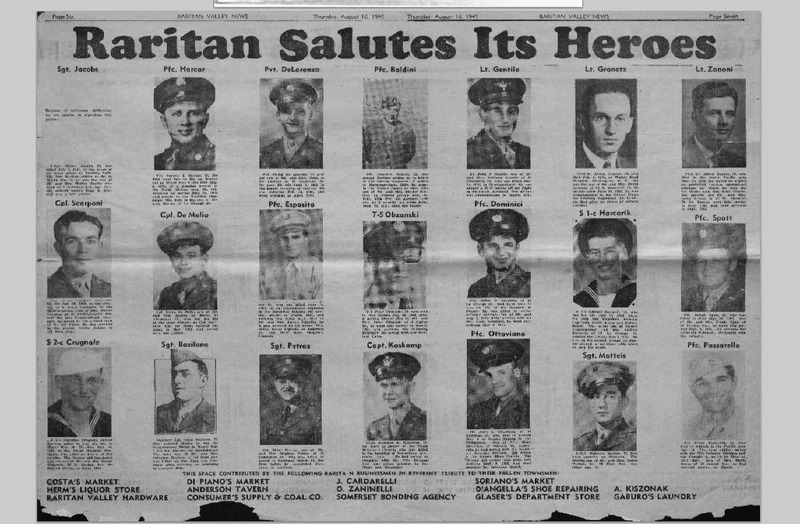 This page would later prove to be very useful to Raritan as just last year many of these photos were used for Raritan’s “Wall of Heroes” – a tribute wall (displayed in the municipal building) to those who died serving their country. Warren Glaser would return home from overseas after the war. His newspaper articles helped to rally the cause for Raritan’s Independence from Bridgewater in 1948. He ran The Raritan Valley News for a few more years but then he moved to New Brunswick. Around 1950 his name disappeared from the paper. After that the Managing Editor was listed as Bruce Henky. The newspaper did not last long without Warren Glaser - the last copies known to exist are from February 1951. After leaving Raritan Warren Glaser would continue practicing journalism. He was publisher of the New Brunswick Spokesmen and The Record. IN 1968 he began a 22 year tenure with Communications Illustrated where he rose to the level of Vice President. Friends said that he was always knowledgeable in the politics and issues of the day. While he never moved back to Raritan, he often spoke of the town and kept in touch with old friends. He was intense and brave in his work. When he had an important story he made sure it was printed regardless of the consequences. Once he wrote a story that exposed an agency that was forging birth certificates. This rattled some in government. He quickly learned that there was a warrant for his arrest so he and his wife fled to Atlantic City for the weekend. After a couple days the “powers that be” backed down yielding to the reality of the “freedom of the press” – and he returned home. In his career he received many honors. One journalism award was the National Headliner’s Award. Rutgers’ honored him by electing him to its “Loyal Sons” - a society of graduates who have given outstanding service. Never wanting to rest Warren Glaser worked long after he could have retired – staying employed up to his death in 1990.